My baby girl is now almost 2. When I started this blog she was just 6 months old. It doesn’t seem possible. H seems much more grown up than her two years, she chatters away and can definitely hold her own with her big brother and sister. She loves nothing more than playing outside, so I wanted to get her something for the garden for her second birthday. 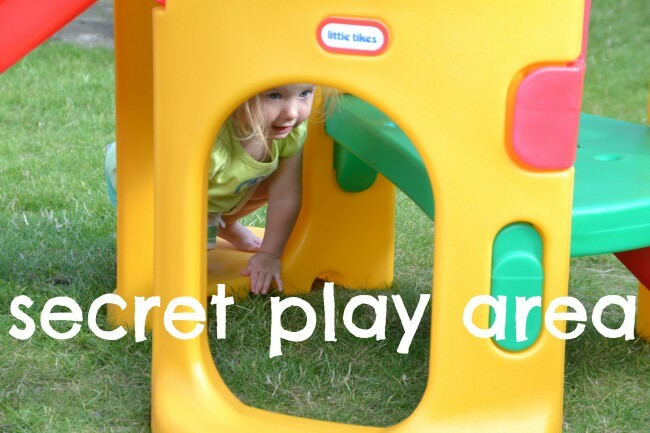 The Little Tikes Hide and Slide Climber from Kiddicare is perfect for her. She can climb up to the slide safely and the slide is big enough to be fun, but not so big it is scary for her. 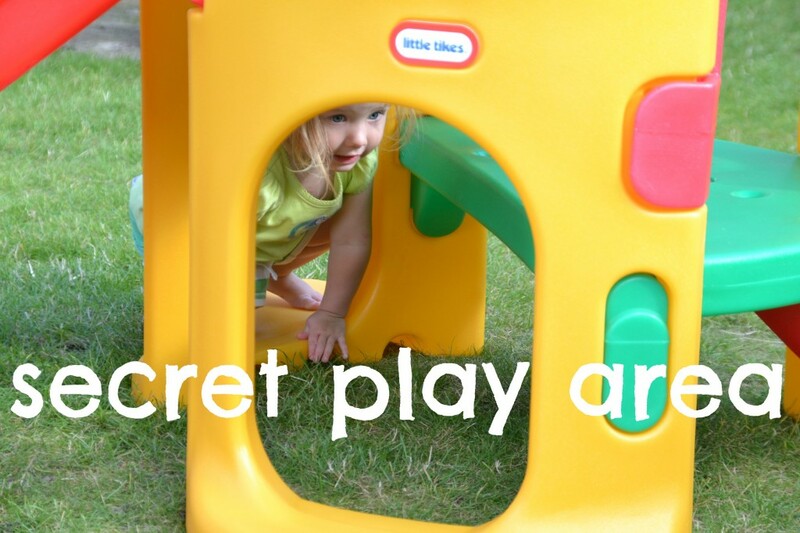 The hideaway underneath has led to hours of fun already, as all three of my children chase each other through. I built the slide myself in about 10 minutes with 3 children buzzing around me, which tells you how easy it is, although I did bop myself on the head with one the sides to start with. I would definitely recommend this product to anyone with small children. 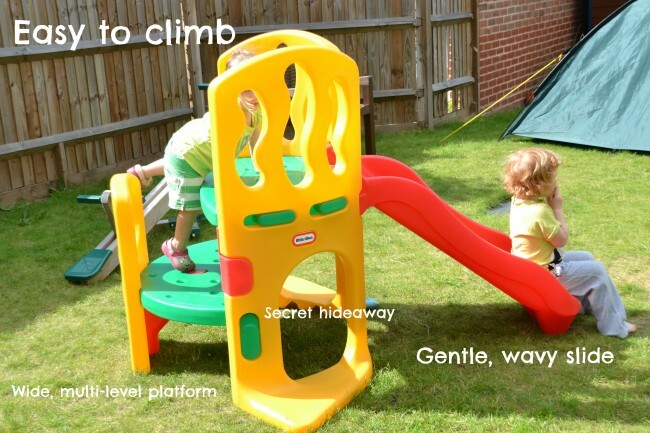 Little Tikes Climb and Slide is available from Kiddicare for £119.99, and is recommended for children aged between 2 and 5. We were sent the slide free of charge for the purpose of this review. 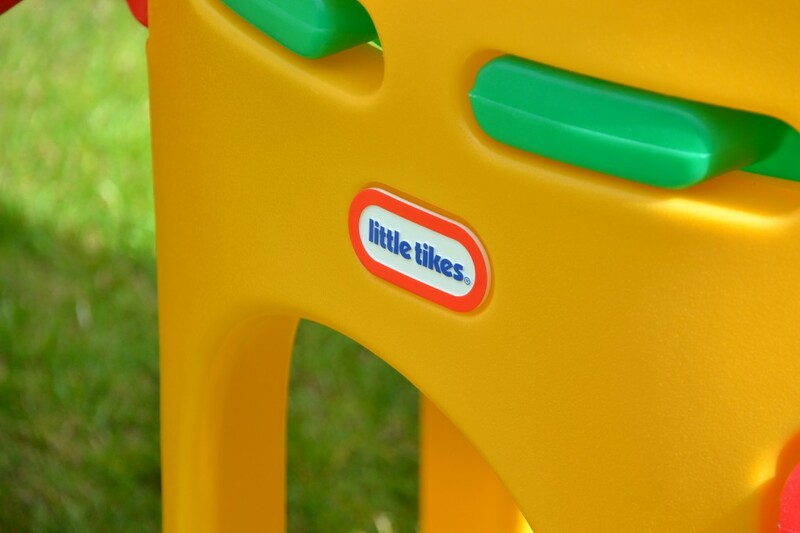 Lovely piece of equipment, you can’t get better than Little Tykes.